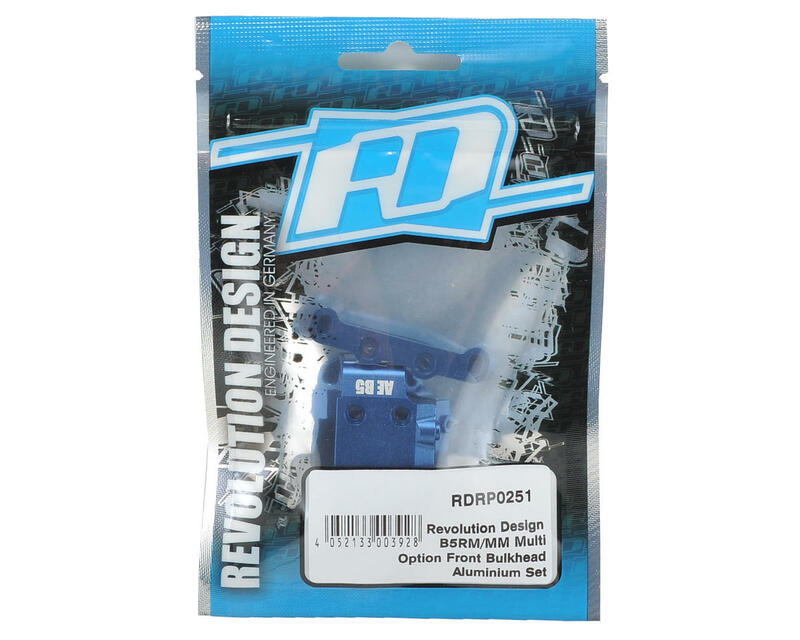 This is an optional Revolution Design Racing Products Aluminum Multi-Option Front Bulkhead Set, intended for use with the B5, B5M and T5M. This RDRP Multi-Option Front Bulkhead is made to replace the standard plastic composite bulkhead with a heavier piece in order to adjust the buggy's weight distribution while also adding rigidity at the same time. While the aluminum part is slightly heavier than the standard plastic composite part, it shifts the weight distribution to the front of the vehicle in order to reduce wheelies on high-bite surfaces and the part also helps to calm down the front end on bumpy surfaces while adding steering in low-bite conditions. 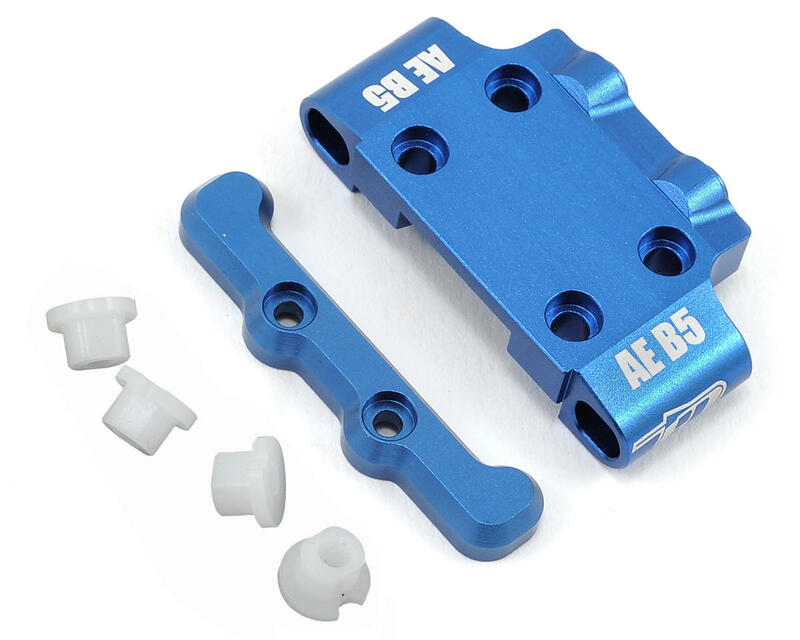 The bulkhead is made from high-quality 7075-T6 alloy material and it comes blue anodized and laser-etched for easy identification. Included is also an aluminum front suspension pin brace to round out the factory look and to help add further rigidity and precision. On top of that, the included delrin bulkhead inserts allow the option for the user to run either 25° or 30° of wishbone kick-up to further fine-tune the steering characteristics without having to swap the whole bulkhead.